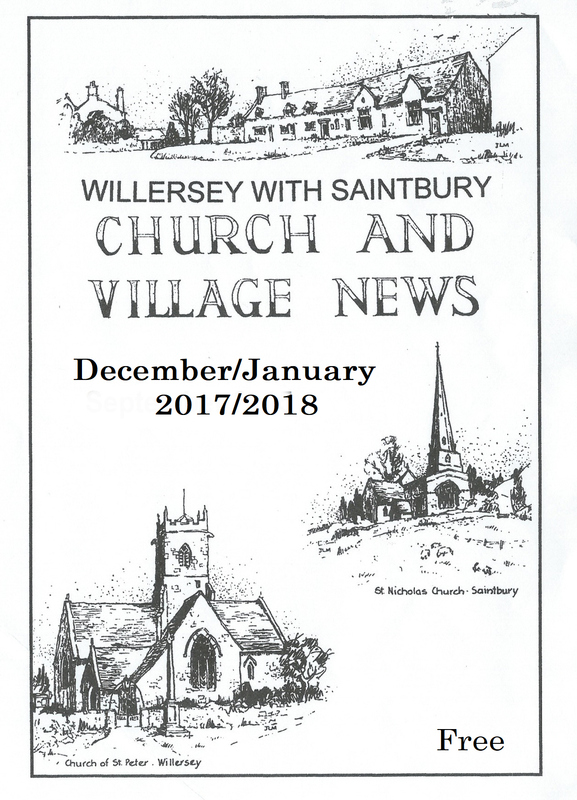 Willersey with Saintbury Church and Village News is published at the beginning of every month (except for combined December/January and Summer holiday editions). 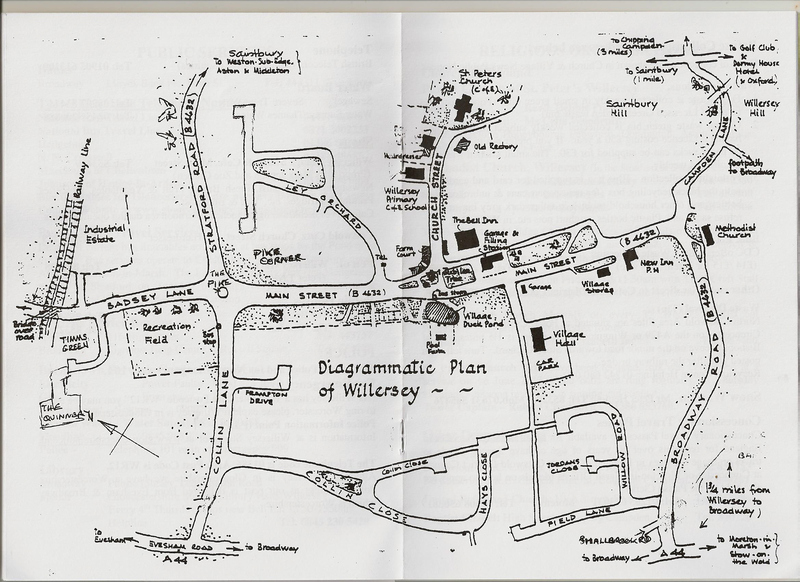 Willersey Garage and the Tourist Office in Broadway. 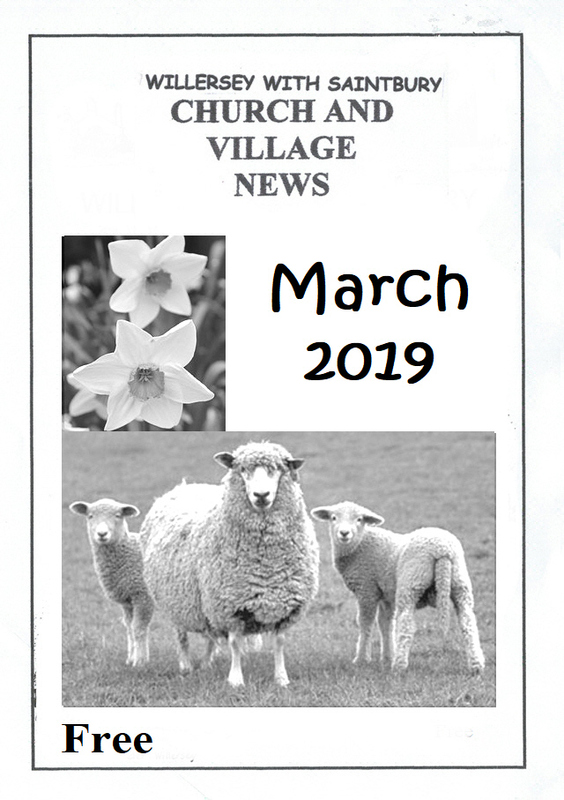 The current edition will usually appear here no later then five days after the paper deliveries are made, ie no later than the 5th of the month. 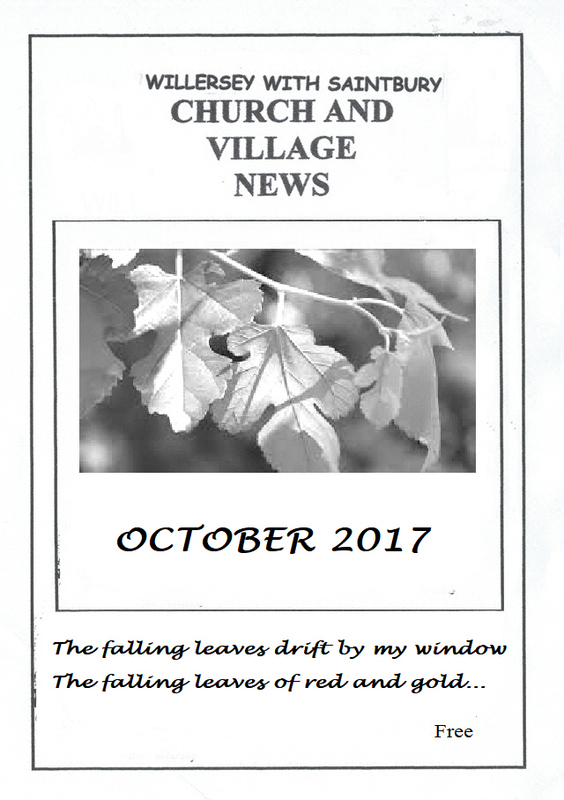 The newsletters may take a short time to download. The cover and advertisements are separate files. 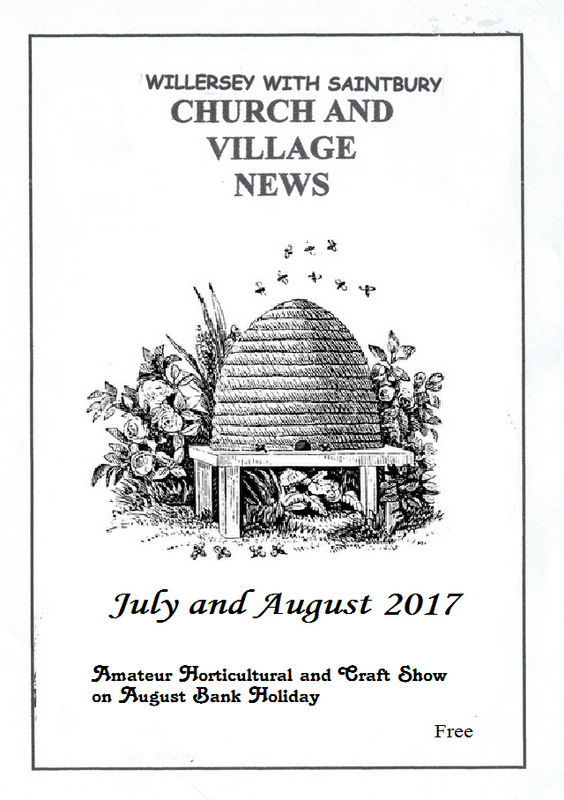 Ten editions are published each year with December & January, May & June being combined months. 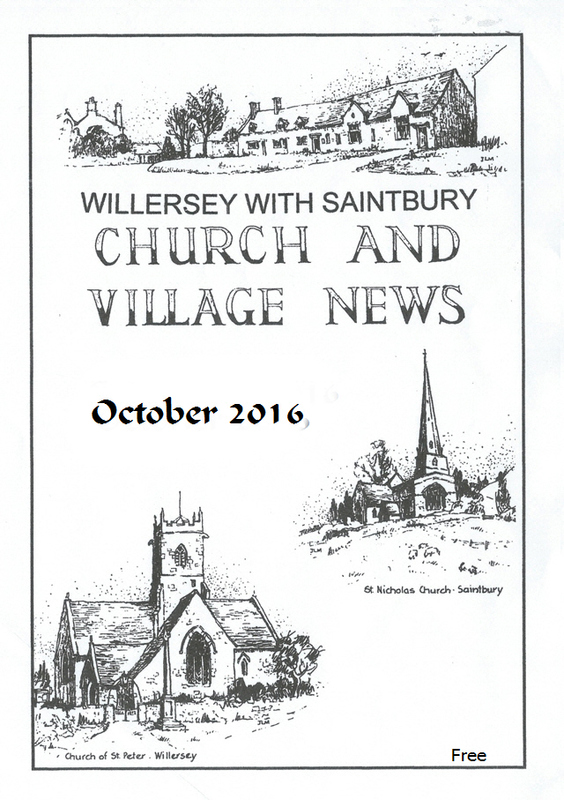 Willersey News is the Parish Magazine for Willersey and also for Saintbury which are both in Gloucestershire. 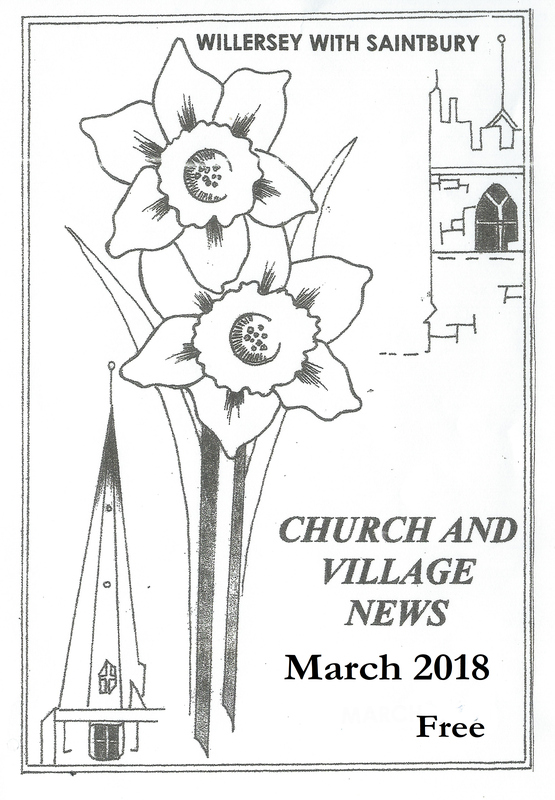 Its contents includes news from various village organisations, details of the local church services, Village meetings, general articles and advertisements from businesses serving the area. 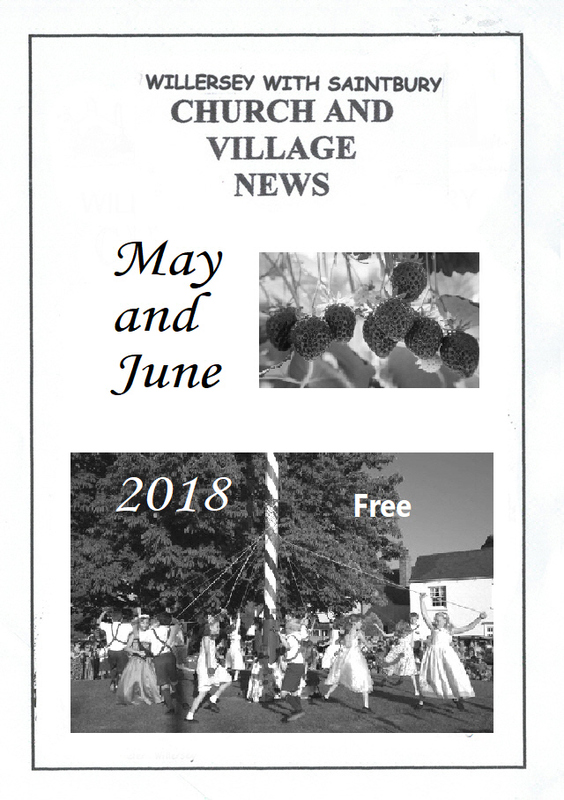 The Newsletter is run and delivered entirely by volunteers for the benefit of the village and its visitors. 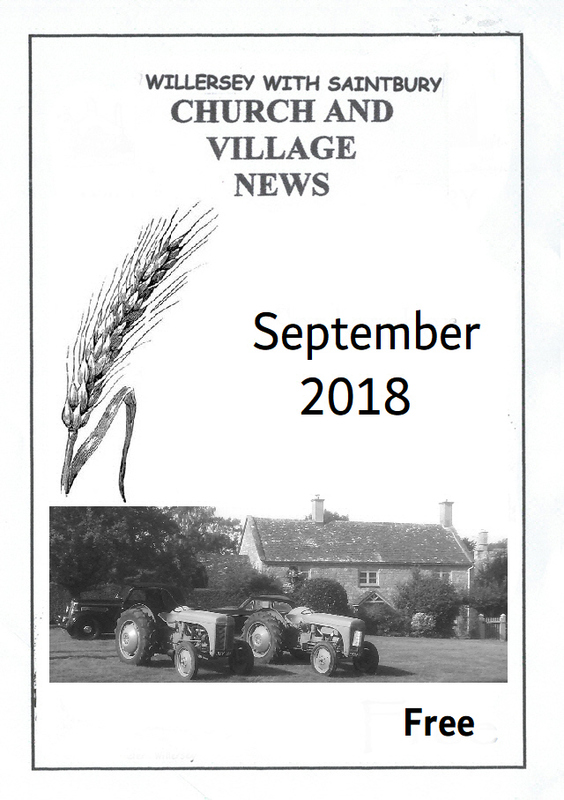 The page order may seem strange say (20-1, 2-19, 18-3, 4-17, etc) but this is a consequence of the layout needed for printing a booklet double sided on A4 paper folded to A5. 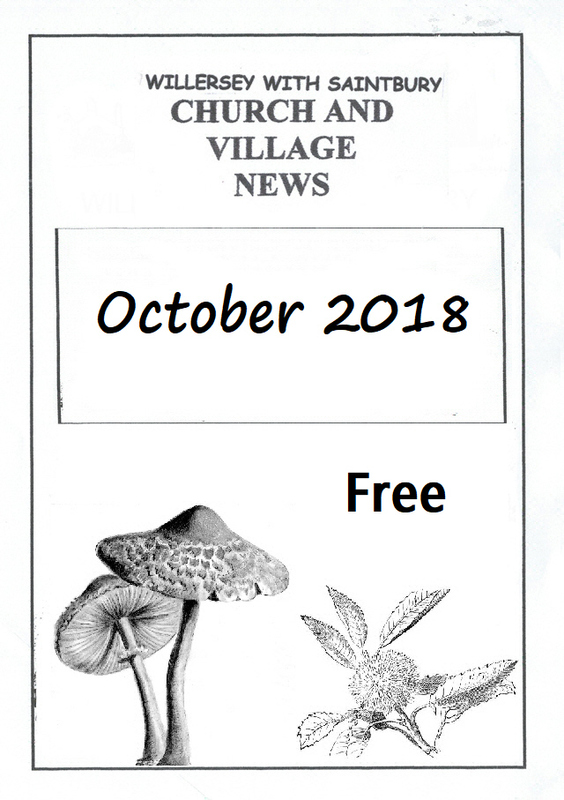 Almost all of the cost of the Newsletter is paid for by our Advertisers. Please use them if you need the services they offer. 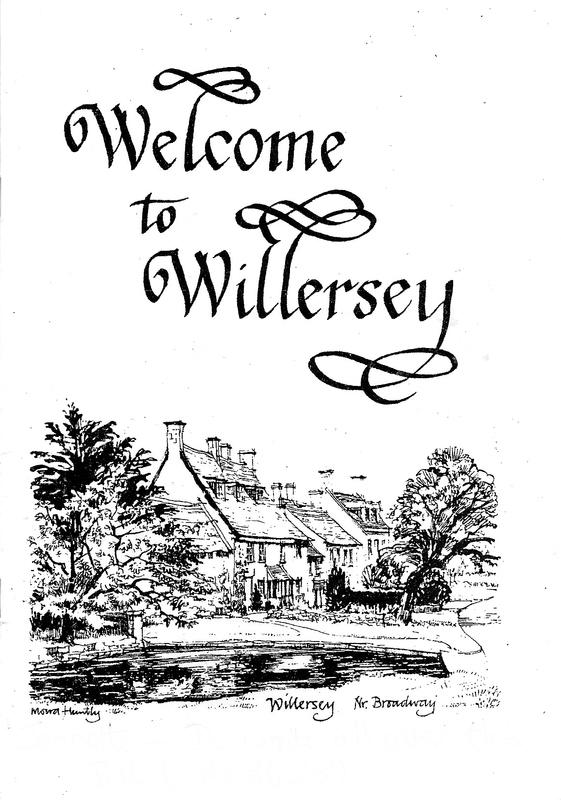 “Welcome to Willersey” booklet to give to them. 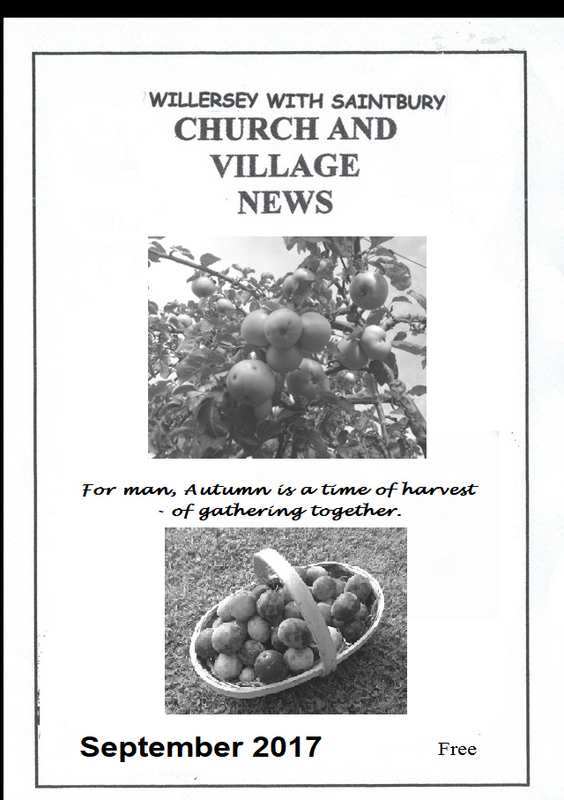 Here are some past editions of our Church and Village Newsletters for each month. 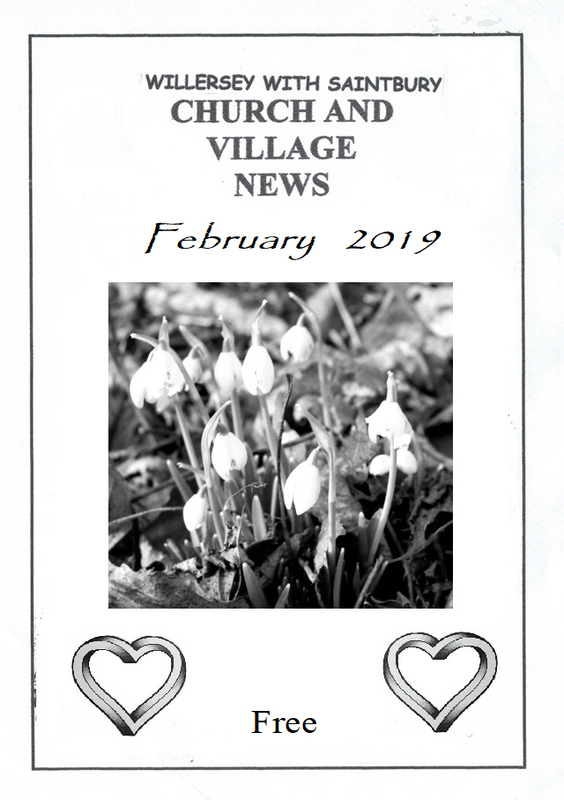 If you have an article you would like included in the edition for next month, please email it to by the 17th of the previous month (except for December and the Summer editions). 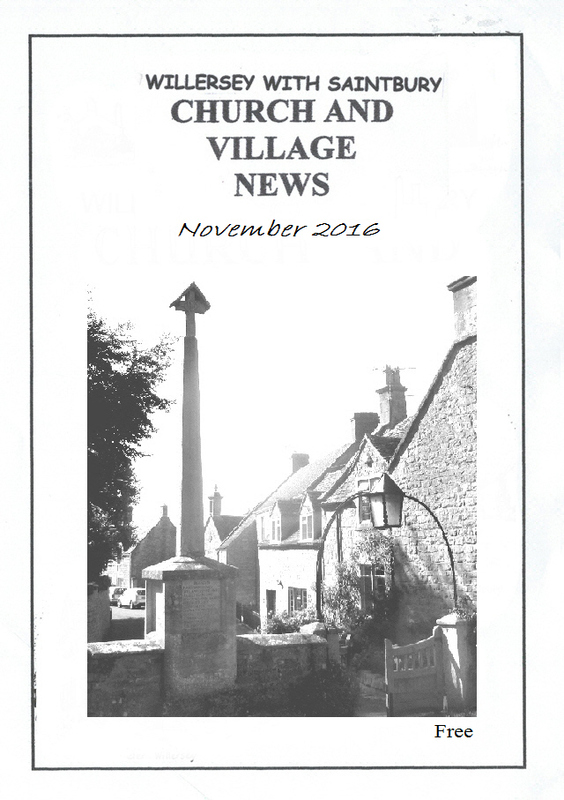 Copy can also be left at Willersey Stores. 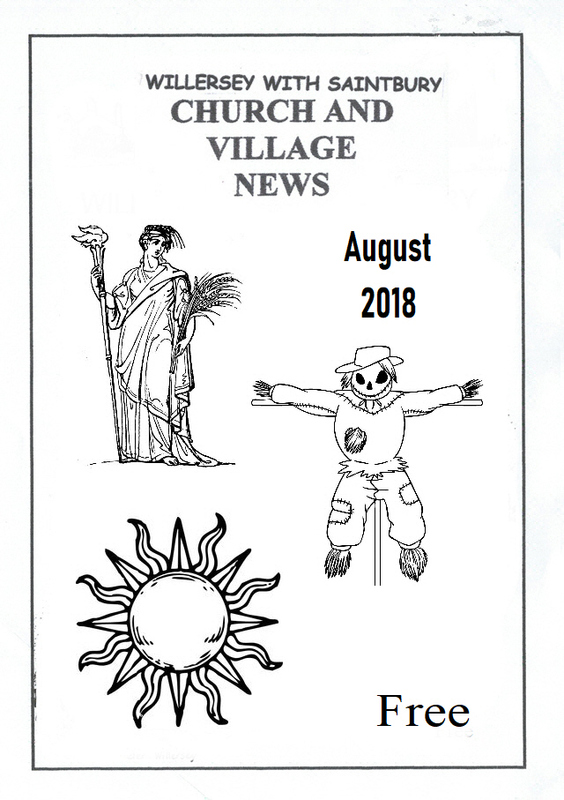 Editing starts on the morning of the 18th of each month. Thank you, Alan and Bill Editors. 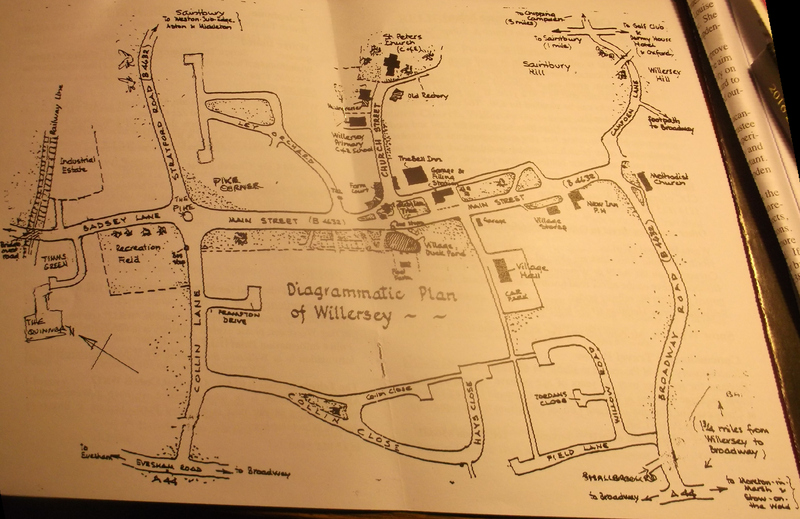 Vale Press in Willersey do the printing and collating. 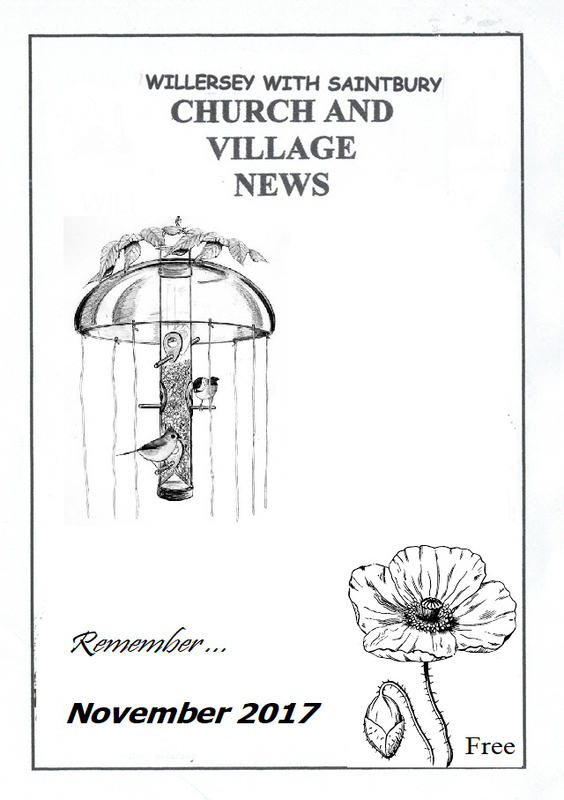 We are always pleased to receive donations which help towards the costs. Thank you to those who have given donations over the past year. There are ten editions a year. 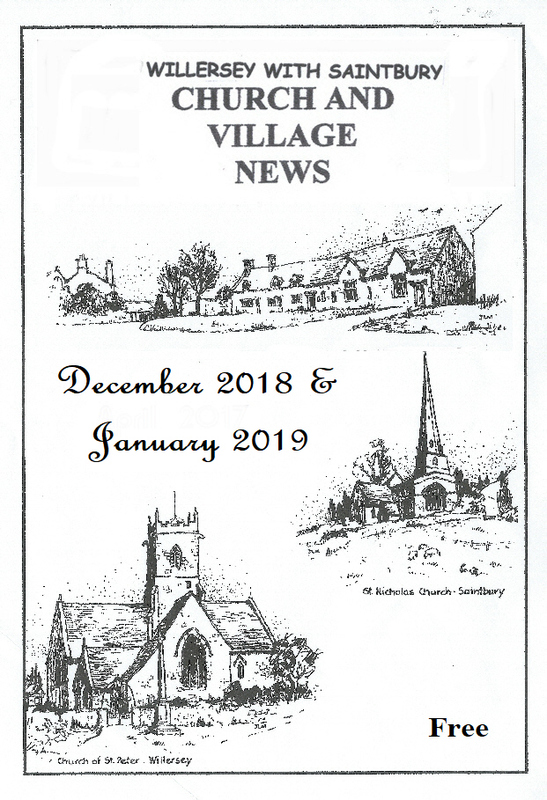 The December and January editions are combined as the printer has an annual break. One other copy a year sometime in the summer is also a combined edition. 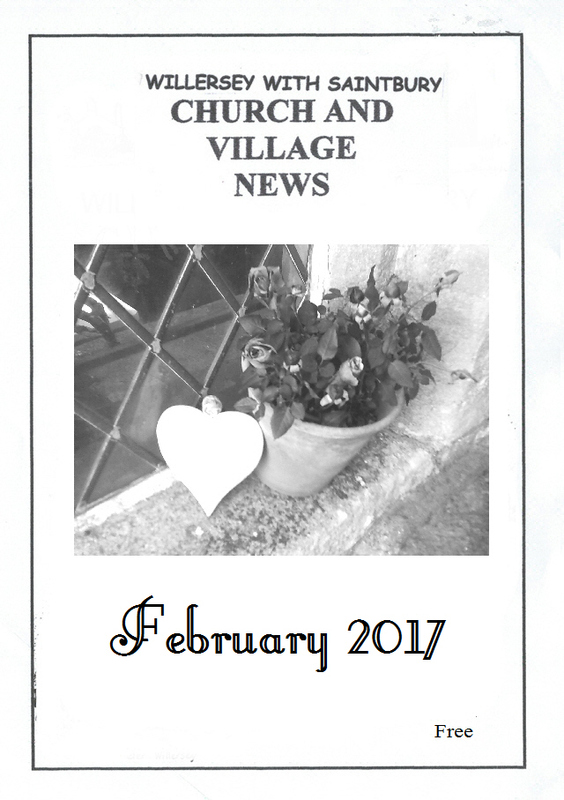 The 550 printed copies are collected from Vale Press each month. 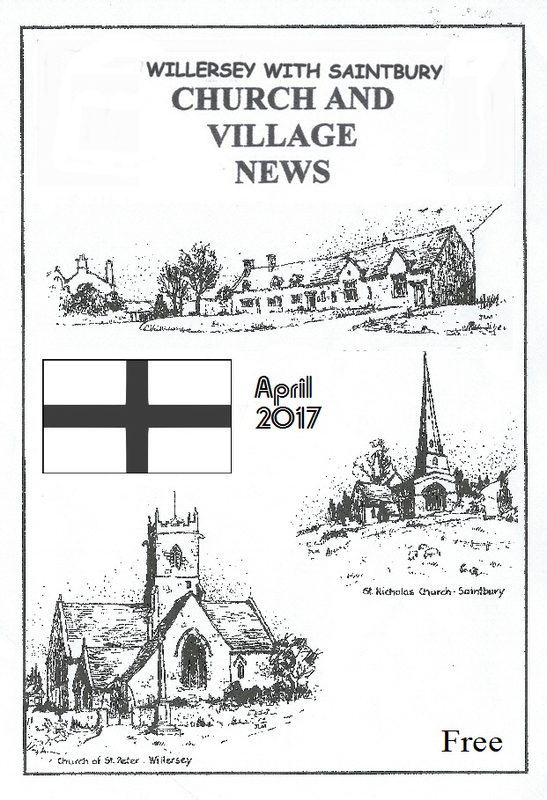 They are then divided into batches for the 15+ volunteers who deliver the free copies to every house in Willersey and Saintbury. 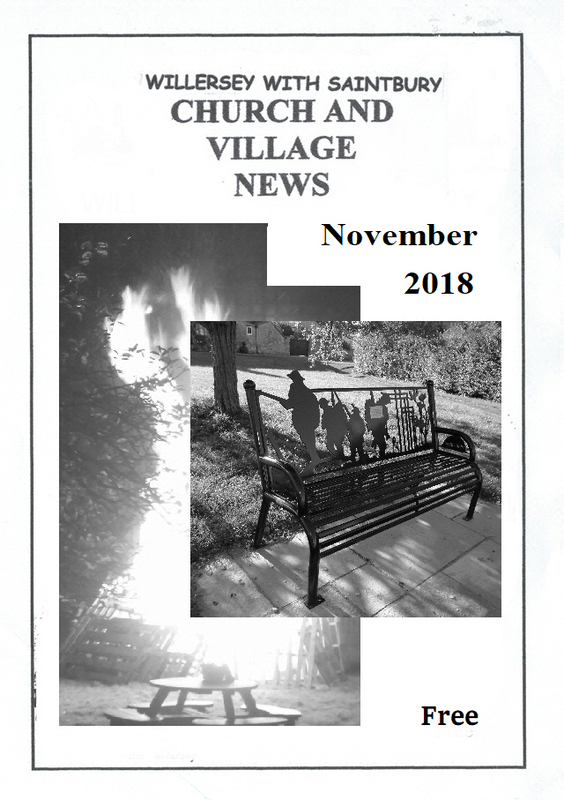 Many thanks to our volunteers who deliver the copies throughout Willersey. 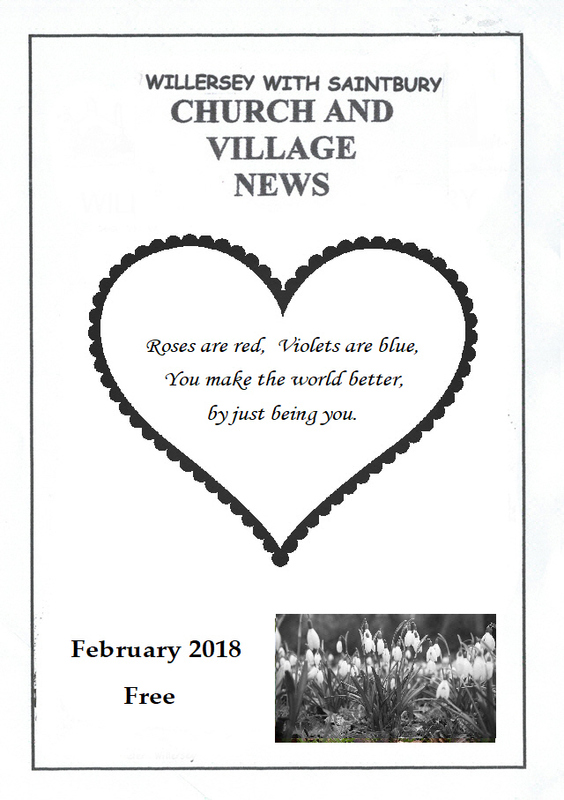 If you know of someone who does not receive a copy, please let an editor know on 858601 or 858628. Leave a message if there is no reply and their details will be passed to the appropiate volunteer. 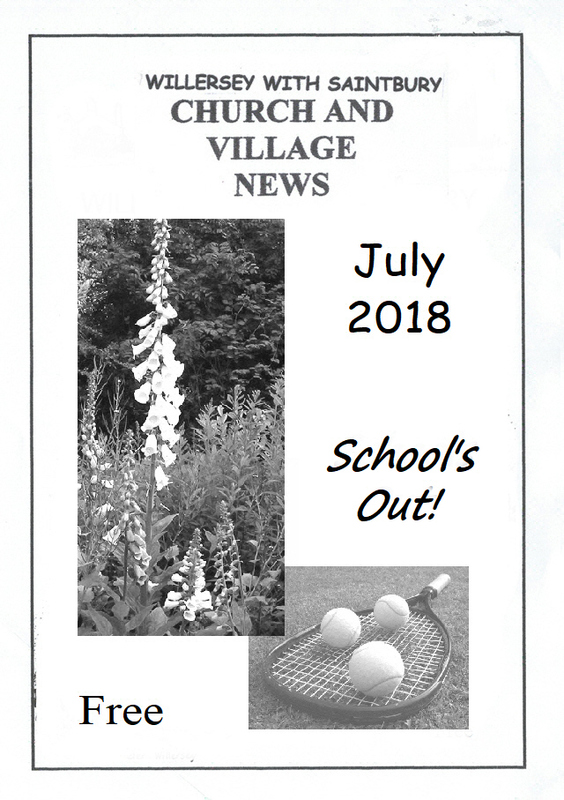 If you have any Newsletters before June 1979 and between December 1989 and January 1995, we would be very happy to give them a good home (with their friends and family!). Thank you. 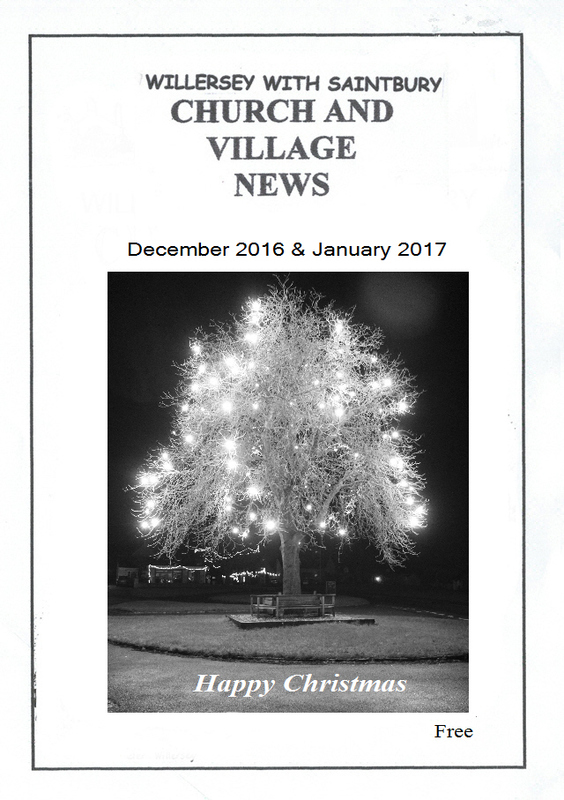 The first newsletter was sent out in December 1974 by the Vicar at the time, Godfrey Evans and cost 2p. He did them until he moved. All the covers were the same (without the month designation). The content was typed, reproduced on a duplicator, collated and then stapled. 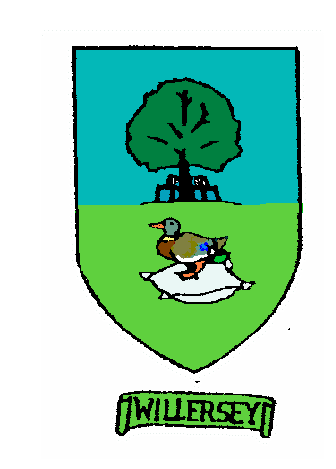 Bill Alexander who lived at Radford House on the Lower Green took over and later Alec Hughes his next door neighbour carried on. 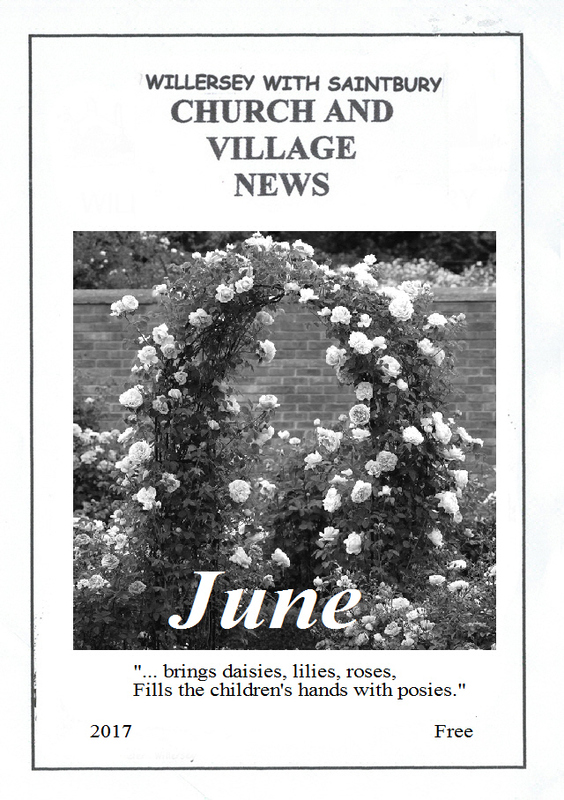 When Alec moved, Olive Tuckey and Jean Harris were the editors. 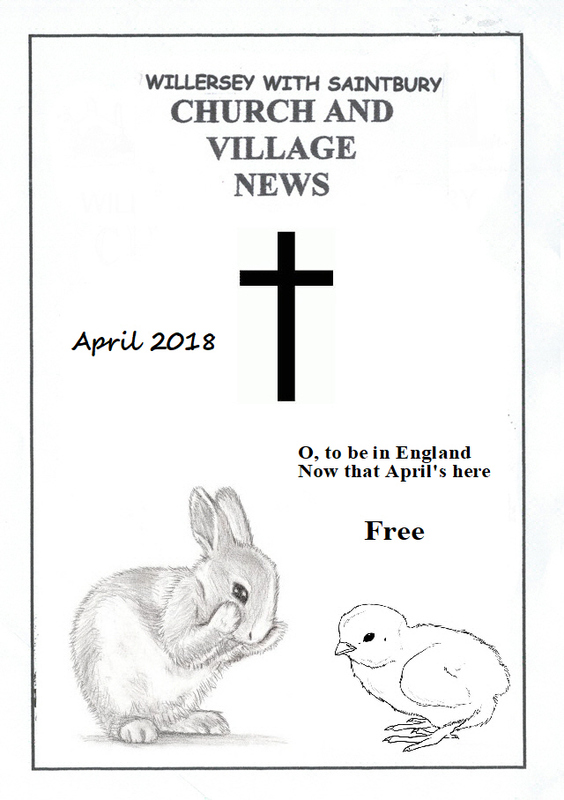 When it became more computerised Olive gave up and after advertising more editors were found. 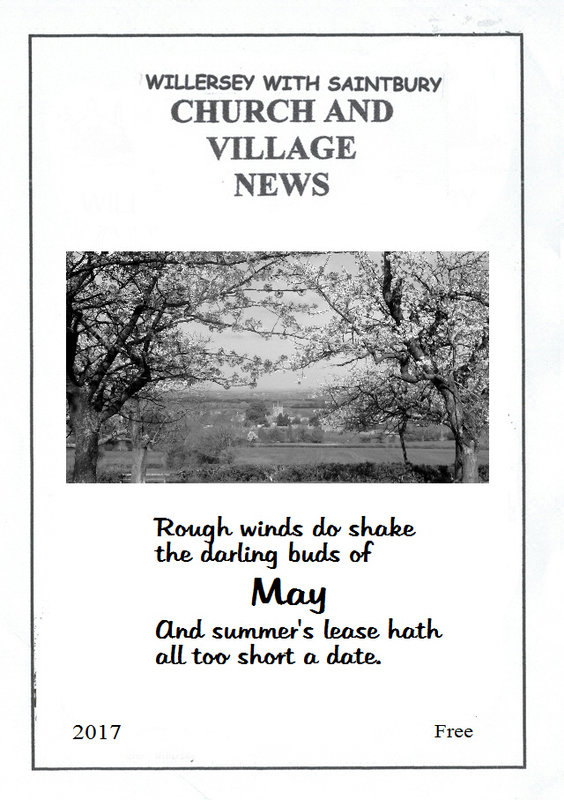 The editors then were Alison Arthey, Amanda Roberts, Margaret Clayton and Jean Harris. These four ladies took it in turns until Alison dropped out and later Amanda moved. Margaret Clayton stayed with Jean until April 2013 when Jean carried on alone until December 2015. 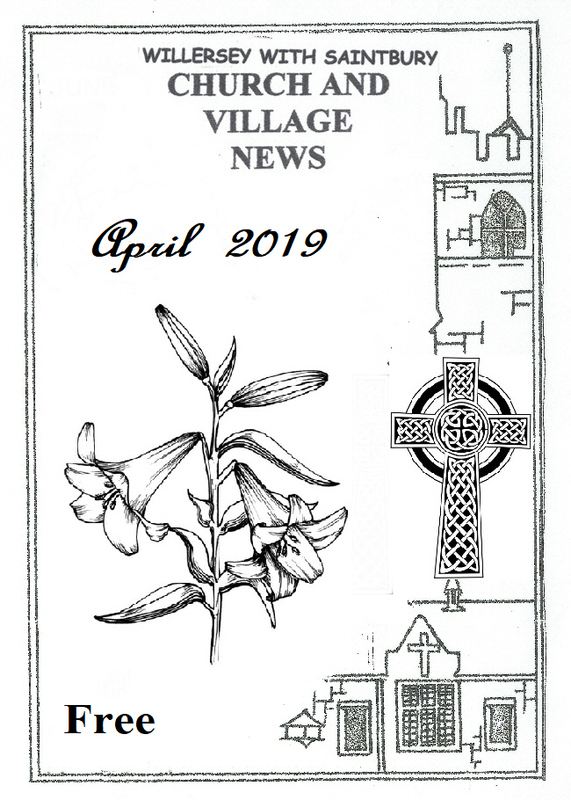 Bill Jabelman and Alan Gittings are now the editors. Each edition is sent as two files to the printer. 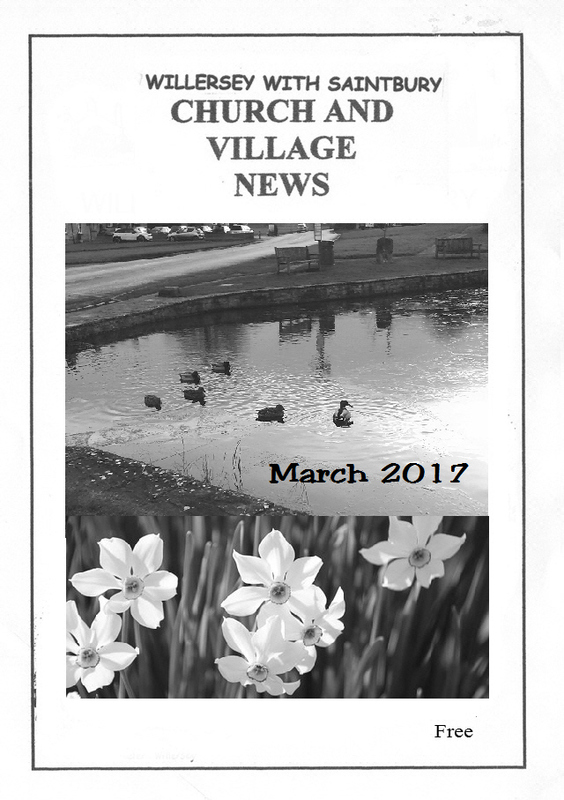 One is a jpg of the cover and the content is in a pdf file.